Hey! We’ve been expanding our view around the world lately and that has led to some work with a fellow life time wool trader from Spain. We had some success selling low price colored material into the textile industry here as well as some other odds and ends. We’ve been fascinated with the wool story in Spain given that is where the Merino breed was originated so long ago. Late last year we got some natural brown top from our pal and it came out to be a perfect fit in our offering as folks are drawn to the rich brown shade, soft feel and easy workability. Your reaction was so strong we should be set now for the rest of the year. 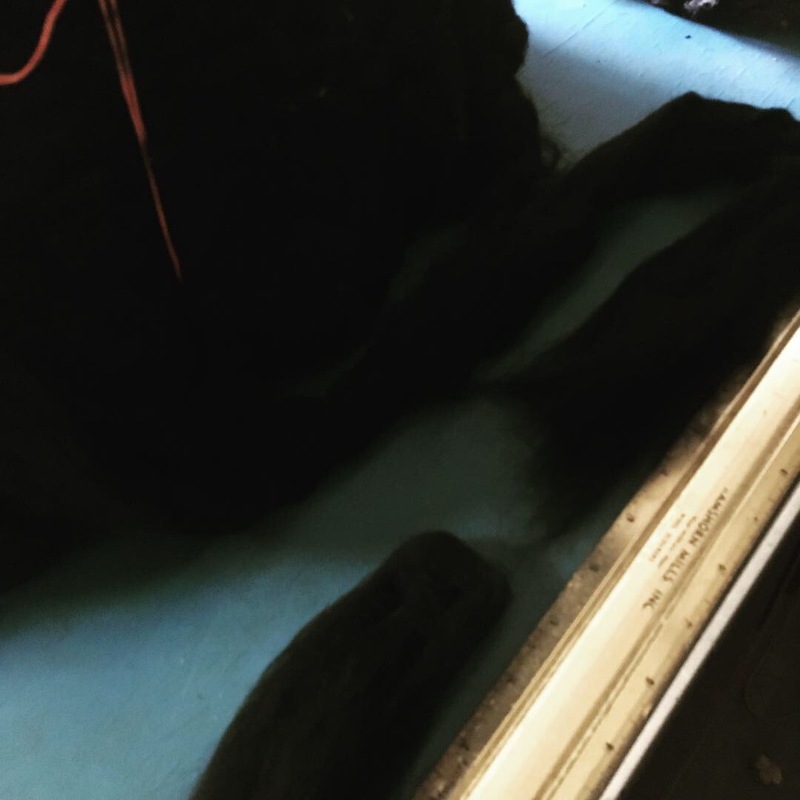 While we were replacing it we got a bale of dyed black sent along. A long time ago we carried a range of dyed colors (and who knows we may yet again some day), but we’ve always managed to have some dyed black on hand. Why black? It’s always in style and we haven’t seen many hand dyers successfully produce a pure black. Keeping a supply has been challenging at times as people and personalities in business change and what was an easy path suddenly goes cold. Hopefully this pipeline will continue and only grow stronger with more options for our customers to use going forward. Anyway, the other great feature of it is the combination of dyed and micron compared to other sources turned out to be very competitively priced. It’s so competitive we’re offering a sale starting NOW through Thursday April 11th at $10.00 per pound or $370.00 for a 37 pound bump. If you missed that, don’t worry as the regular daily price will be $12.00 per pound or $444.00 for a bump. One last thing, if you’re looking to order from us please note we’ll be on a partial shut down the week of April 15th. Our Boston-area warehouse will be closed for a week and that will limit access to all our inventory as the Philly warehouse is a lot smaller and doesn’t carry all our most oddball items.